5th grader Logan was our 1st lucky winner from Mr. Stone’s 5th grade class to take home Frank the Falcon for the first week of November. Here’s what they did…. 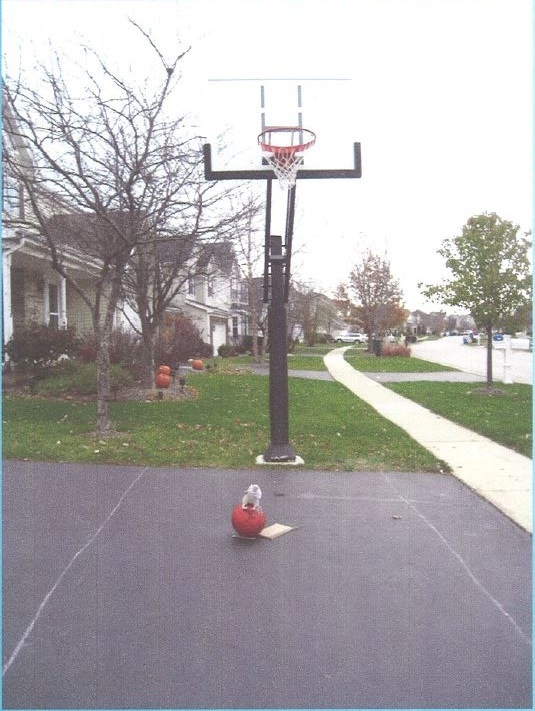 Frank and I played basketball out in the driveway. 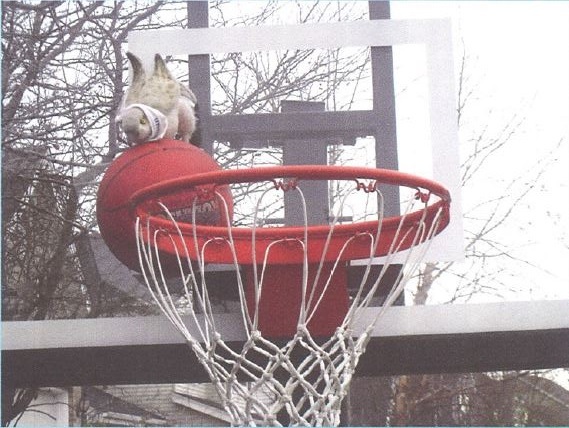 Frank was having trouble flying up to the basket at first, but he slam dunked it in the end! 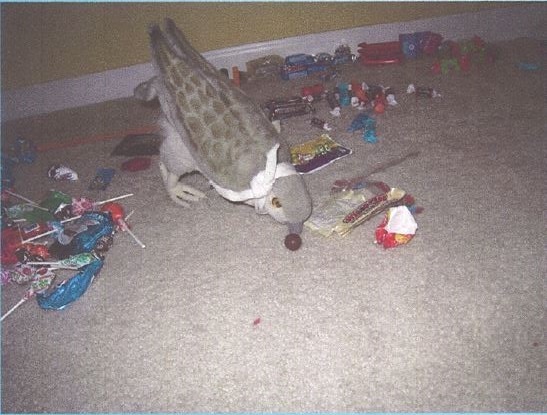 Frank ate almost all my leftover Halloween candy! 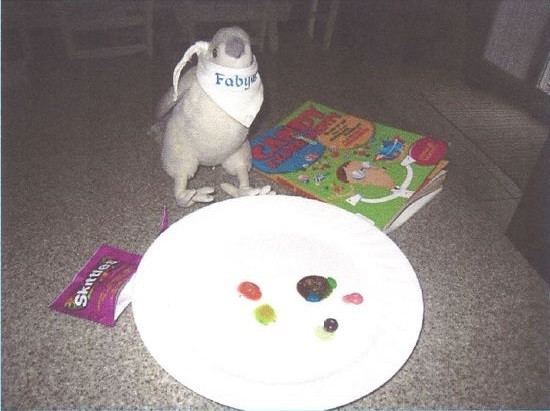 Frank and I made clam shell Skittles. We found the idea in the Candy Experiments book.